Yesterday when I logged onto Twitter, I was surprised to see that Pam Oliver was trending. We were still 52 days away from kickoff(yes, I am counting down) so of course I was eager to learn why she was in the Top 10. Before I even clicked on her name, I immediately assumed her reason for trending would have something to do with her hair. I was thinking maybe she had debuted a new hairstyle that hopefully the masses were complimenting her on. Wrong. The news of the day was that Oliver, who is entering her 20th year, was being replaced on the number one FOX Broadcasting team by Erin Andrews. Not only was she being replaced but she was being demoted to the number two team for her final season on the sideline. Huh? What? This reeks of the still prevalent sexism that plagues the sports industry. I can almost guarantee you that you will never see a man being demoted from his position during a milestone year even if it is his final year. This reeks of the need to continue to hold women to certain standards that their counterparts are not held too. You get rid of Oliver but keep Joe Buck? How nice of you Pam. Taking the high road. I would expect nothing less from you. However, lets address the obvious. I saw hundreds of tweets yesterday pointing out the obvious fact that Andrews is a blue eyed, blonde haired woman and Oliver is, obviously, not. Andrews is a good at what she does but at this point in her career, she is not better than Oliver. The idea in business is suppose to be that you replace an employee with someone who is just as good or better. While there are many who want to make the replacement about race and in this case it is easy to do, I saw very few tweets yesterday where people were accepting blame for their role in Oliver being replaced. Oh, you think her replacement is just about her being a more seasoned vet and it was time for her to step aside? Riiiiight. I am willing to bet that it has very little to do with that and a lot to do with the reaction Oliver garners via social media every time she graces our television screens. Yes, FOX saw the tweets from people who tweeted about Oliver’s hair every Sunday. Yes, FOX saw the pictures you shared on social media comparing Oliver to Chewbacca. Yes, FOX realized that a lot of you were more fixated on Oliver’s hair than on her work. And yes, FOX even noticed that most of the people tearing Oliver down shared the same skin tone as her. You all should accept some blame. Stop kidding yourself if you think you are not part of the problem. You essentially made the decision for them. You made it easy. Too easy. 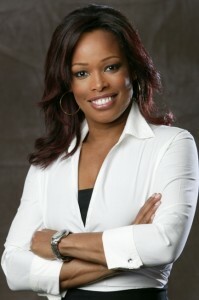 Pam Oliver is a trailblazer and should be celebrated as such. I will always regret my comments I made about her before publicly acknowledging how wrong I was. No one should have to be subjected to the type of belittling she has experienced over the years. Especially not someone who young women of color can use as an example of how to achieve success without compromising self. She is woman who is worthy of being celebrated for her work. I owe someone an apology. I have never met her. However, over the years, I have found myself making statements about her that have not been very nice. Behind the humor, big smile and bubbly personality is a sensitive and compassionate woman who turns her head every time she passes an 18-wheeler carrying pigs or chickens on the highway. That compassionate side of me gave me a nice reality check earlier this week. On Sunday, while I was out and about, I checked in on Twitter to see what was trending. 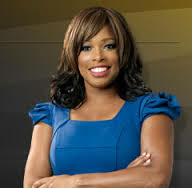 I immediately saw that Pam Oliver’s name was trending and thought to myself, “Anytime she is trending, it is never a good thing” I was correct. The usual slander was about the usual topic: her hair. When I arrived at a friend’s house later we discussed the topic and if I recall correctly, I remember saying, “I wish she had some girlfriends who would be honest with her about her hair.” Oh Kass. Smh. It was not until the very next day that what I said started to bother me. I have commented on her hair for years. Then it hit me. I was essentially doing the same thing I felt Rob Parker did to RG3 a few weeks ago, tearing a person down instead of lifting them up. It was not a good feeling. Had I not learned anything from the Gabby Douglas hair controversy? It was not a good feeling. Then it dawned on me and I had that “ha ah” moment. Had I ever stopped to think that maybe the reason she had not changed her hair is because she likes it? I remember when I made the decision to stop getting relaxers and let my hair revert back to its natural state, there were people who expressed their dissatisfaction in my decision. Yes, my decision. Some of the comments were hurtful but for the most part I was not concerned about what others thought I should do to my hair. IT IS MY HAIR!!! The slander directed at Oliver has been happening for years and with the emergence of social media, it has only gotten worse. While I would think the comments, to some extent, have been hurtful, she seems to be very confident in who she is and how she chooses to wear her hair. Ultimately, that is all that matters. Instead of focusing on trivial things, we should be focused on cheering her on. She was an all-American in track in college. She is a graduate of FAMU. She is also one of three(I think) black women reporting from the sidelines in major sports. Her employer and former employers seem to not be phased by her hairstyle and neither should we. That is irrelevant. She should not be torn down because she does not conform to a stereotype. She is a pretty woman. She is great at what she does. She has worked her way up the ranks and should be celebrated for that. From this point forward, I vow to be more conscientious of my words. I hope that someway, somehow this letter reaches her so she knows that for all those that are tearing her down, there are thousands more lifting her up. Ms. Pam, I am sorry. Keep doing what you do so well. You are a trailblazer and I thank you for carving out a path for women like myself to follow. YOU ROCK!